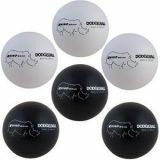 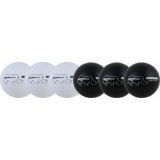 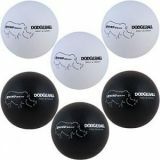 Rhino Skin Dodgeball Set of 6 Colors, 6"
Rhino Skin® balls feature a tough coating over a durable foam core. 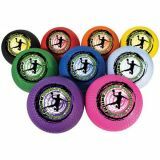 • 6.3"diameter • Ball weight: 83gr • Foam density:28kg/m3 • Low-density foam core • Recommended age: 10 years and up Pack of 6. 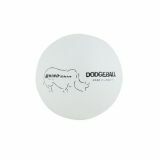 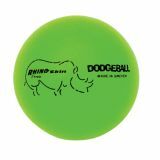 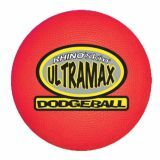 The Rhino® World dodgeballs are high bouncing 2 ply rubber balls with a textured cover. 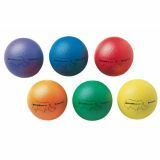 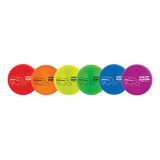 These 8.5" balls are extremely durable and come in a set of nine colors, one each in red, orange, yellow, green, blue, light blue, purple, magenta and black.